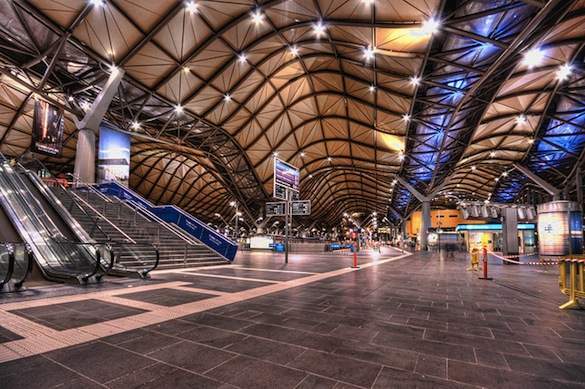 One of the busiest stations in Melbourne, Southern Cross (formerly Spencer Street) tops the cool-list for futuristic design. The award-winning creation by Nicholas Grimshaw features a unique, ‘wave’-like roof that not only looks good but is meticulously engineered to provide natural ventilation and draw smoke and diesel fumes out of the air. Pretty and clever.